As the Defense Department moves forward in splitting its acquisition office, the nominee for the first ever defense undersecretary for research and engineering is pledging to stand by the department’s established innovation hubs. Michael Griffin told lawmakers he would stand by some of the Obama era efforts to court companies that don’t traditionally work with DoD, push for rapid acquisition and create an atmosphere of innovation. Those efforts include organizations like the Defense Innovation Unit Experimental (DIUx) and the Strategic Capabilities Office (SCO). Both of the organizations had a tenuous future under the Trump administration, which has a tendency to cast off anything related to Obama. However, the former NASA administrator gave the offices his full support during his Jan. 18 nomination hearing before the Senate Armed Services Committee. The future of DIUx has been an area of curiosity for many since Defense Secretary Jim Mattis took office. After former Defense Secretary Ash Carter touted the program frequently, it went largely radio silent once Mattis moved to the Pentagon. DIUx’s investments slowed in the first half of 2017. It only awarded 13 contracts totaling $12.3 million. That’s less than half of the money it awarded in the last two quarters of 2016, when it spent $36 million on contracts. SCO was also an organization facing uncertainty, especially after SCO’s director Will Roper was nominated as assistant secretary of the Air Force for Acquisition. SCO’s mission is to find the current needs of warfighters and deliver products to satisfy those needs in innovative and quick ways. However, rumblings in the Pentagon point to SCO losing its ability to report directly to the defense secretary since Mattis took over. Griffin now has the opportunity to harness the power of both offices and use them to his advantage as they are folded into his office. The Missile Defense Agency is also being reassigned to the research and engineering office, according to DoD’s plan, which is submitted to Congress in August. Outside of the organizations that fall within his purview, Griffin said he wants to change the way DoD procures new weapons. Griffin pledged to bridge the so-called “valley of death” between technology development and actual product production. “It’s very difficult to set aside and fence money specifically for transition, so one of the things I would like to do if I’m confirmed, is I would like to more formalize the role of transition offices. We really don’t have technology transition offices in the department and haven’t. If we think we have a problem with transition… I think the first step to solving it is to put someone in charge of it and give them that task,” Griffin said. He added that in asking for that person, he is creating an entity that DoD does not have. Another part of the role of the new office as the R&E undersecretary will be to act as the Pentagon’s chief technology officer. The R&E undersecretary was created by Congress to try to pull the reigning undersecretary of acquisition, technology and logistics out of the minutiae of everyday contracts. 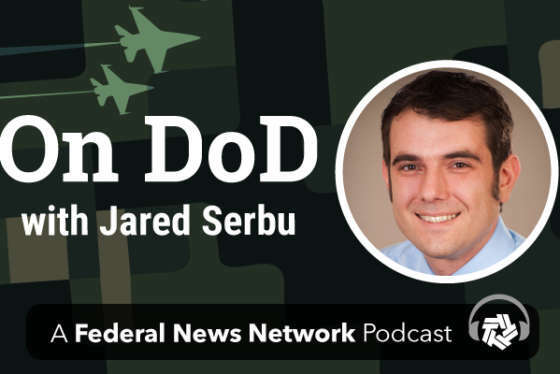 Lawmakers felt the position was too bogged down with acquisition policy, that it didn’t give the undersecretary time to focus on innovation and helping DoD compete with its near peer competitors. The research and engineering side will work on prototyping, experimentation, tech transition, tech development, allocation of resources of research and unifying research efforts. On the other hand, DoD has assigned roles like acquisition policy design, procurement of goods and services, sustainment policy, logistics, maintenance, industrial base policy, contract administration, nuclear modernization and counter weapons of mass destruction to the acquisition and sustainment side of the house. Miller said there will be a natural tension between the two offices. One is about creating risk, while the other is about mitigating it.